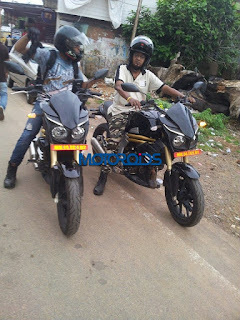 A production ready version of the Mahindra Mojo has been spotted testing, without any camouflage. Mahindra finally seems to be serious on the launch of the Mojo. 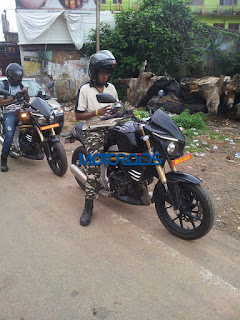 The Mahindra Mojo was showcased a long while ago, and the wait to see in on the roads has been quite long. These new set of spy images gives an idea that Mahindra may be considering alaunch soon. There are a few visual updates on the motorcycle as compared to that seen earlier. 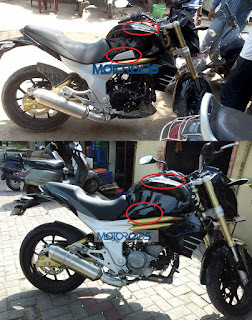 The Mojo logo on the tank is now 3D, instead of the Mahindra sticker seen earlier and this one certainly looks premium. 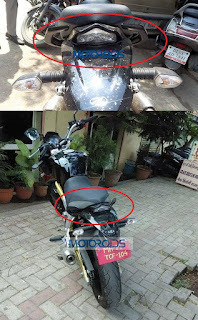 The Mahindra logo is placed on the side of the tank. 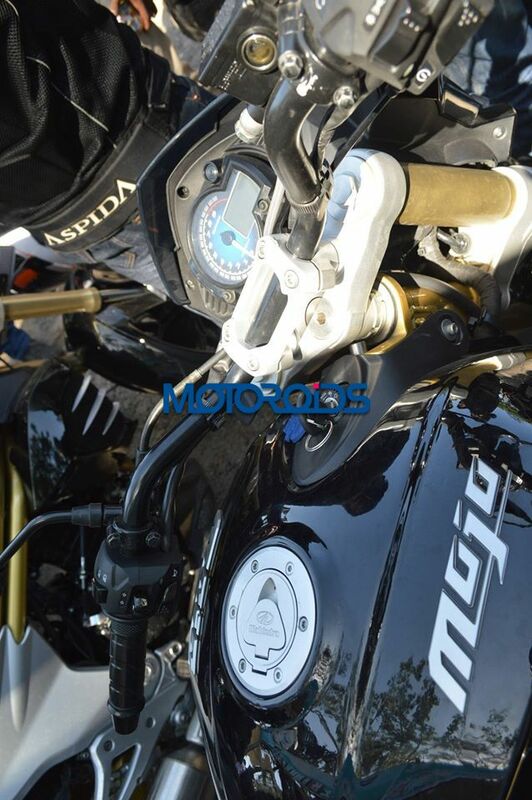 Our friends at Motoroids have not only spotted that bike but have some information from the test rider, that the Mojo will deliver 31.2bhp of power. 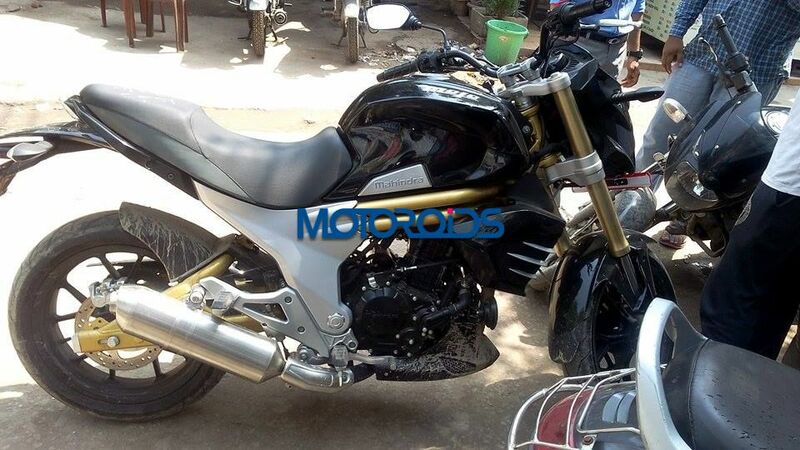 For a 295cc, single cylinder, liquid cooledengine that seems pretty good. 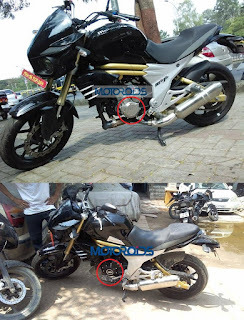 A few more changes are evident in the final production motorcycle. There is Mahindra branding on the engine, which is black coloured and also gets anengine guard beneath. 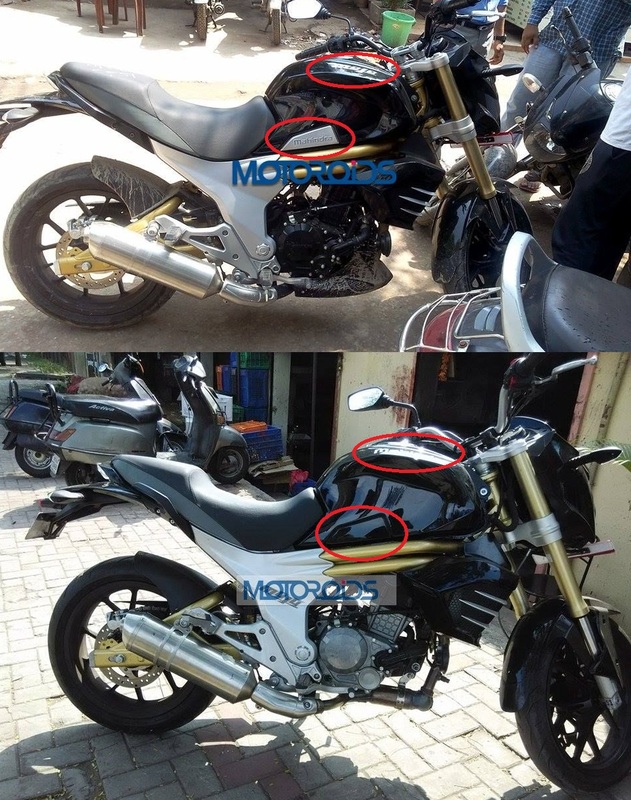 A black handlebar is new too and the rear grab rails also seem to be longer.